Filed under apple on April 18, 2013. 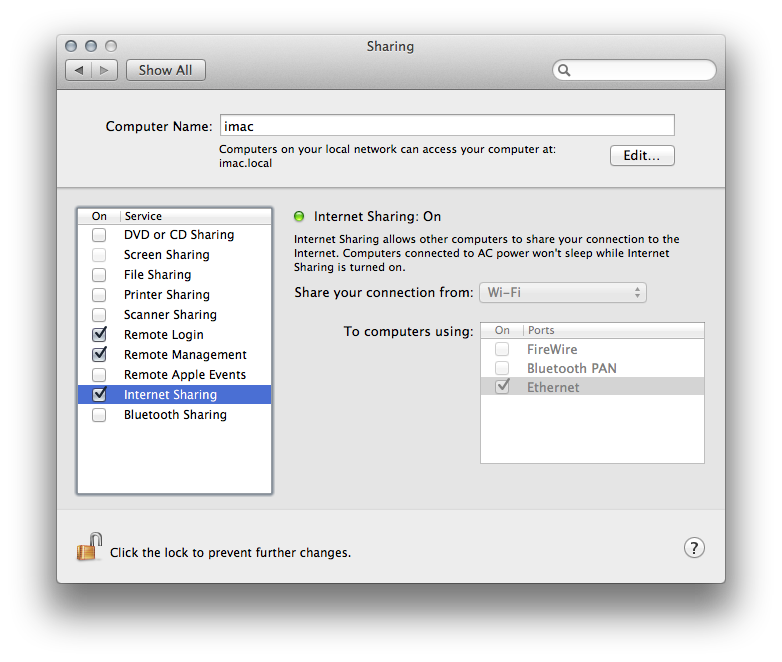 I often use the Internet sharing feature on a Mac to either create/extend a network from an Ethernet connection via Wi-Fi or, as has been the case lately, extend a Wi-Fi connection using an Ethernet connection to a non-Wi-Fi device that needs Internet/network access. I use this setup regularly to connect a Raspberry Pi to my home network. Internet sharing doesn’t work out of the box. You need to know the secret, and very simple, sauce. Given that I use this ubiquitous Mac feature regularly, a post was in order. Let’s get started. You should now have an Internet/network connection running through the Ethernet cable that provides connectivity to the device on the other end of the cable. The Mac will assign an IP address to the device. 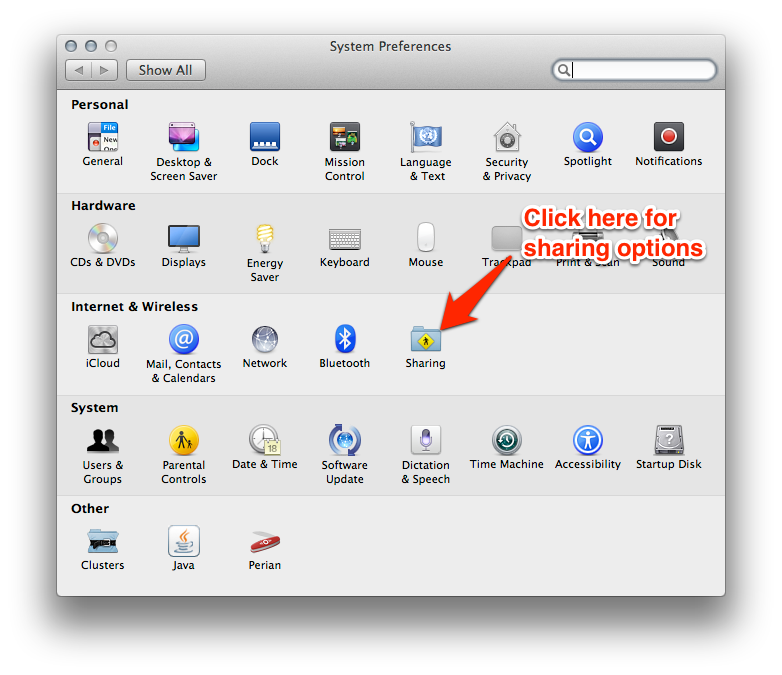 If you find you made a settings mistake, you will need to deselect the Internet Sharing checkbox to regain access to the settings. See, that was easy and as you probably noticed while following along, you can reverse the flow and create your own Wi-Fi network, without a router, by sharing the Ethernet connection. Let me know if you find this useful.